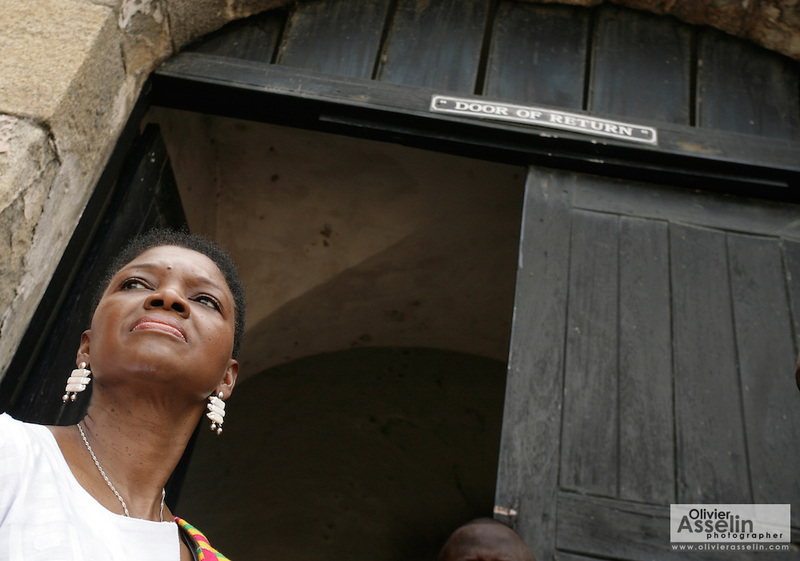 Leader of the House of Lords Baroness Valerie Amos stands in the door of return at the former slave fort of Cape Coast Castle in Cape Coast, Ghana, on Sunday Mar 4, 2007. Amos was visiting on the occasion of the 200th anniversary of the abolition of slave trade, which coincides with Ghana's 50th anniversary of independence. The door of return is the same gateway used by slaves as they left Africa for the New World - it is now being used by descendants of slaves who are returning to Africa.